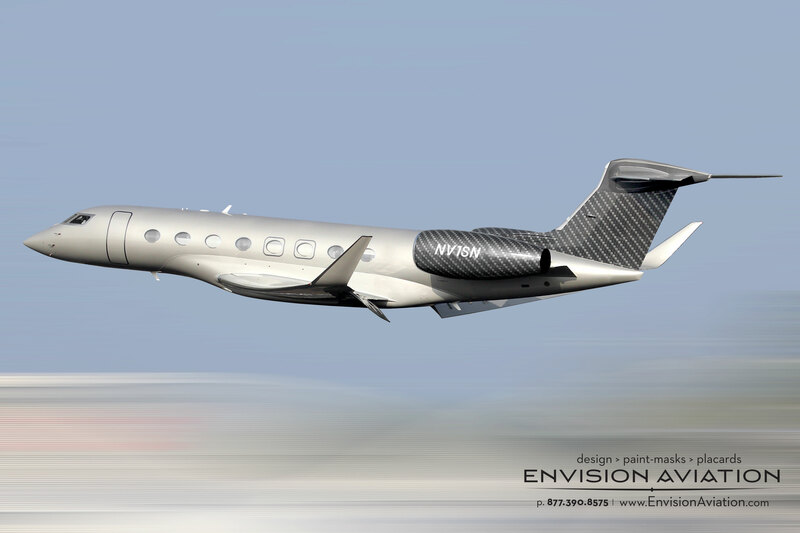 Envision Aviation’s next generation aircraft - with Paint-Mask technology! SAVANNAH, GA—Envision Aviation®, the leading designer and producer of specialized projects for all private and commercial aircraft is introducing the first ever custom painted carbon fiber design. The company, which prides itself on crafting one-of-a-kind unique schemes has partnered with O&O European Design out of Warsaw, Poland to showcase their innovative new product on a Gulfstream G650. “After meeting Heath Moore, CEO of Envision Aviation®, I knew his talent and level of expertise was just what Marek was looking for to seamlessly produce complex designs to meet client needs.” Kevin Locovozzi, President, DS Aviation. At its base level, the custom design is made from a quarter of a billion company logos that when merged together create an intrinsic pattern of carbon fiber building blocks. The two-tone, two-color build of the carbon fiber is much like pointillism in a fine art painting. 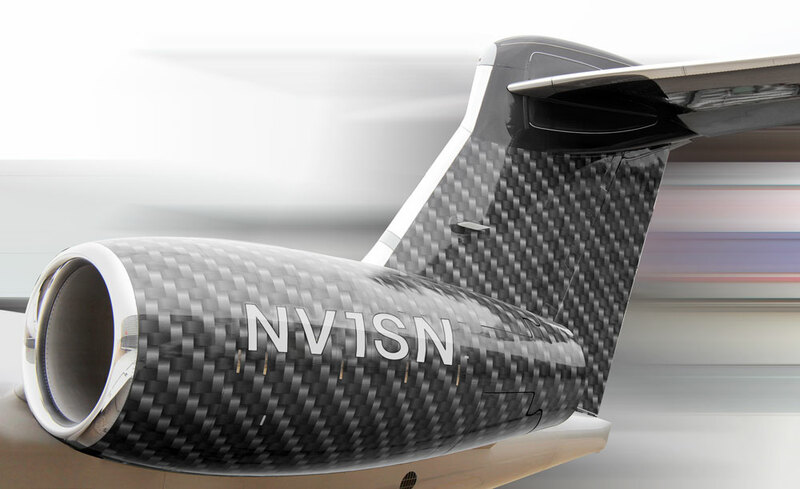 The process of carbon fiber begins with the application of a single base color upon which millions of logos are installed as the negative stencil paint-mask. The process is finalized by applying a second color over the first base color and the negative stencil paint-mask. After removing the stencil the final look is revealed producing the perfect carbon fiber look. Close up views of the aircraft allow you to see the base level logo of the company that purchased the aircraft adding a level of subliminal messages to the overall design. The patent-pending custom carbon fiber design consists of a multiphase front-end loading process that expedites its onsite installation time to a minimalistic time frame consisting of only a few days. This entire paint-mask scheme is originated from a specialized repeatable and repairable design that leaves nothing but paint on the aircraft allowing the warranty of the paint to stay intact.